How in the world is July already over? Does anyone else feel like this month flew by? I really don't know where the time has gone, but to celebrate transitioning to a new month, I am bringing you a few of my most favorite drugstore products that I have been loving this month. While I enjoy high-end beauty products, my budget doesn't always allow it. Over the years, I have found that the drugstore has some really great products that perform just as well at a much lower price. It's also really important to do a little research before you go to purchase. Reading product reviews on the brand and products themselves can be a great way to narrow down what shades and formulas will look best with your skin tone and type. I've just recently discovered a love for highlighting. I've found that it really makes my skin glow and can look quite natural if applied with a light hand and the right brush. One of my favorite drugstore brands is Wet n Wild, and their MegaGlow Highlighter did not let me down. 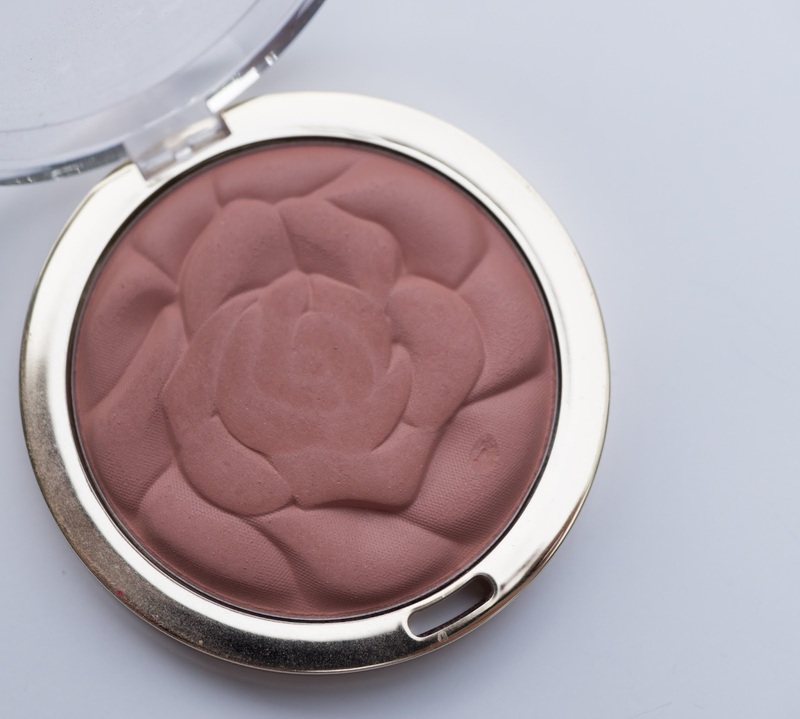 This is the shade precious petals, and it has a rose gold tone that would look great on dark or lighter skin tones. At just $4.99, you have to check it out! Now y'all this next blush is good... really good. I consider Milani to be a fancier brand at the drugstore. They have pretty nice packaging, and the quality of this blush is so nice. I have the shade Romantic Rose, and these are priced at just $6.99. Mauve blushes are really flattering on my fair skin, but I think it would look great on any skin tone. 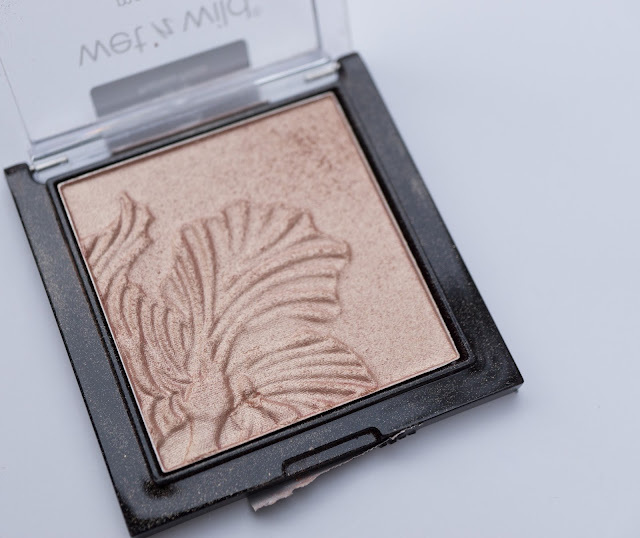 If you're looking for a new blush to add to your collection, definitely check this one out! A few weeks ago I went on a trip to New York City with my mother-in-law and sister-in-law. While we were there, my SIL and I made the trek to the E.L.F. cosmetics store. If you're unfamiliar with E.L.F., they sell a wide variety of cosmetics and skin care at super affordable prices. 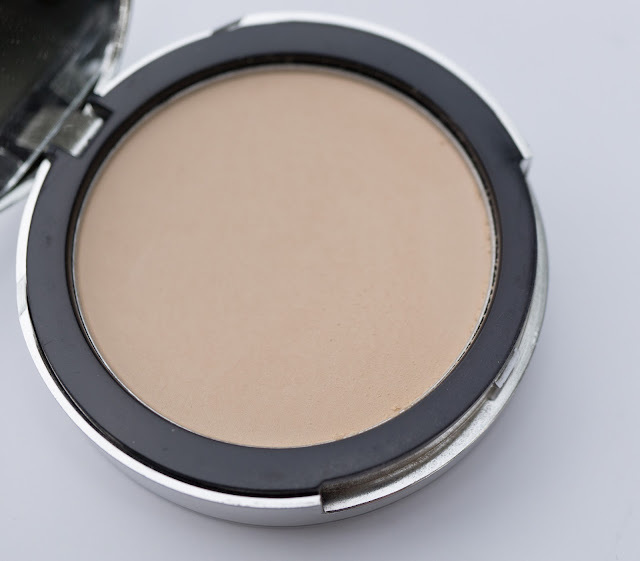 While we were there, I picked up the Beautifully Bare Sheet Tint Finishing Powder in the shade fair/light, and I must say that I am really impressed. I am always on the hunt for something to replace my MAC Mineralize Skinfinish Natural, and so far, I really don't have any complaints! This is a great drugstore powder. Well, there you have it... three great drugstore face products under $7.00. You can thank me later! Let me know in the comments if you have or are planning to try any of these products this month.